WHAT I SMELL: Violette Fumee opens with the most beautiful lavender and bergamot combination; it’s herbal and refreshing in a creamy comforting way. After a few minutes, the fragrance starts to warm and become deeper as a beefy oakmoss emerges from the bottom that envelopes and seems to fold over the lavender. After about 10 minutes or so, the violet seems to make an appearance from the edge of the fragrance. I know this is going to sound strange, but it’s appearance is like prairie dogs popping their head out of the ground. 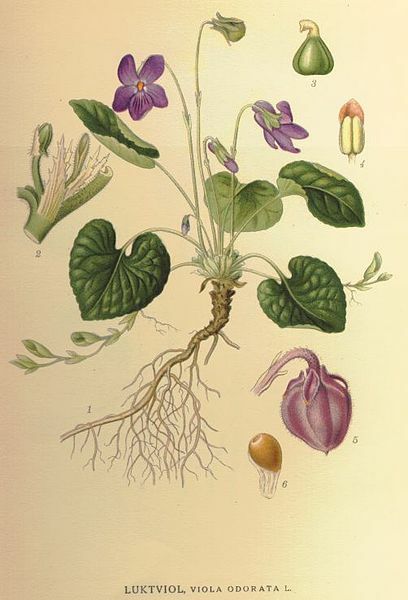 What I mean is that the violet doesn’t come out at once, but seems to pop in and out until eventually you feel like you are surrounded by violets tinged with rose. Violette Fumee at this point still retains its creaminess but it becomes slightly brighter without becoming sheer. 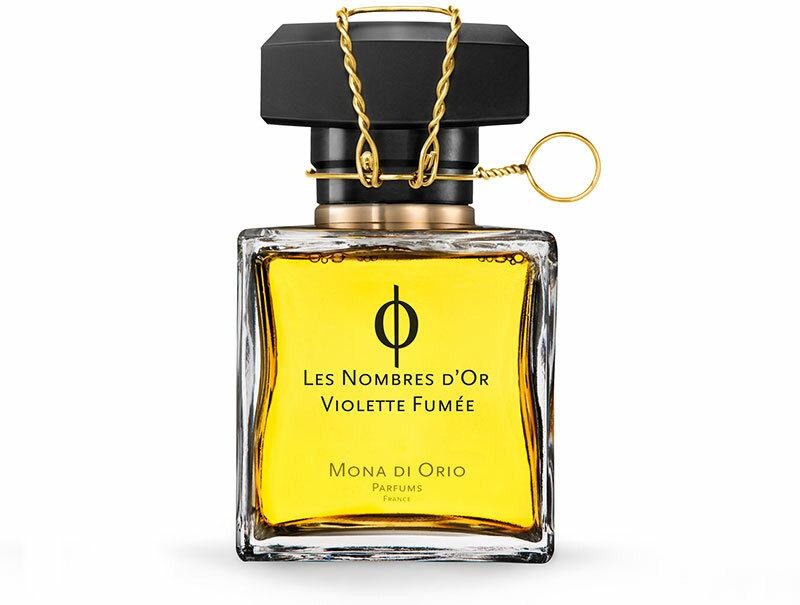 What I love about this is that the herbal aspects of the fragrance keep this from becoming too floral and pretty which allow Violette Fumee to retain a substantive elegance. After some time, the myrrh and opoponax emerge from below and a slight suede provides for a beautiful finish to this multi-faceted fragrance. WHAT IT SMELLS LIKE TO ME: A page from a 19th century botanical illustrative leather bound book. BOTTOM LINE: Violet fragrances have not been my friend in the past as I find that they are typically too feminine for my taste. Violette Fumee breaks that mold. The violet doesn’t completely dominate and take over in a sweet and simplistic fashion. The first time I wore this, I really liked it, but the 2nd time I have to say that I loved it. Voilette Fumee is an elegant and substantial fragrance, that holds layers upon layers of wonderful surprises. Promotional sample provided by Mona Di Orio Parfums. Categories: Mona di Orio, Uncategorized | Tags: 4 bones, EDP, fragrance, Mona di Orio, review, Violette Fumee | Permalink. To be honest Lucas, I’m not real familiar with the line, just having tested the Cuir, but I have heard that they are really powerful fragrances. This has lasting power and is clearly quality, but it’s not overpowering to me. That said though, my application was from a rollerball vs. spray which can make a difference. And the opening is so incredibly beautiful…do check it out. The opening is very herbal and the fragrance overall remains in that state, but I really don’t think of this as a lavender scent. Actually, I am finding that I enjoy lavender if it’s not Yardley Soap lavender. I agree that violet can be a bit much at times. Your description of this sounds promising. I’m with Lucas on it: I want to try it because of lavender and the closest to “love” with MdO brand I came is their Vanille perfume that I really enjoy wearing from timeto time. This makes me want to try more of their line. We do need to have a talk with them though about getting a 30ml or 50ml option along with the 100ml! That sounds terrific. I like almost everything from Mona di Orio so I bet I would like this too. Thanks for the great review! Thanks my dear… I really want to check out much more of the line now. This was a dream. Hee, I guessed right with 4 out of 5 bones. This sounds nice and will be added to my Must Try list. I need to write a post about something that doesn’t rate high for me. I’m going to make you spend too much money! This sounds like an interesting effect. I’ll have to smell it just to experience that, even though none of these are favorite notes with me. To me this is a journey fragrance, which means that it takes it’s time to get where its going and along the way there are many surprises. I love it when a fragrance unfolds…this does that beautifully. WHAT?! Hahaha. Houndy I hadn’t even heard of this (just followed the link from you Rose review). Seriously, what?!?! Anyway – this actually sounds real nice, providing her signature base doesn’t make me wanna tear my nose off with my bare hands and eat it. This is very nice and subtle Freddie… unlike many of the other Mona fragrances which can sometimes hold no prisoners. It’s a very nice calming and sophisticated scent.